Standard Double with ensuite shower room. 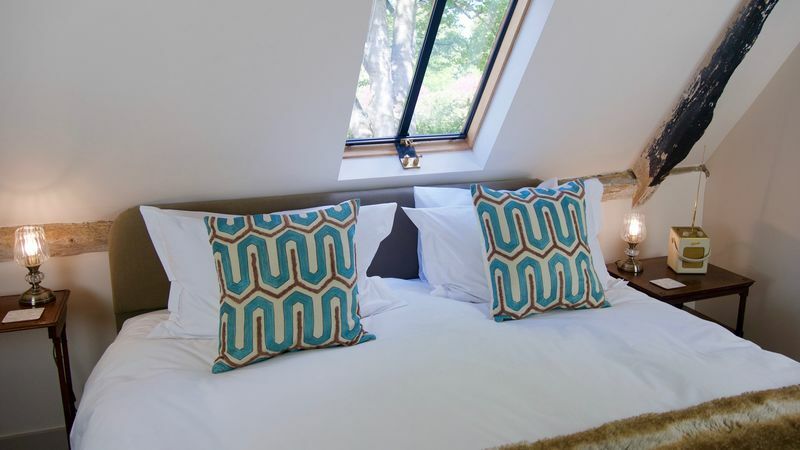 On the first floor, Segsbury is a bright room with a large sash window facing out over the roof and garden. There’s even a distant view of the Berkshire Downs. 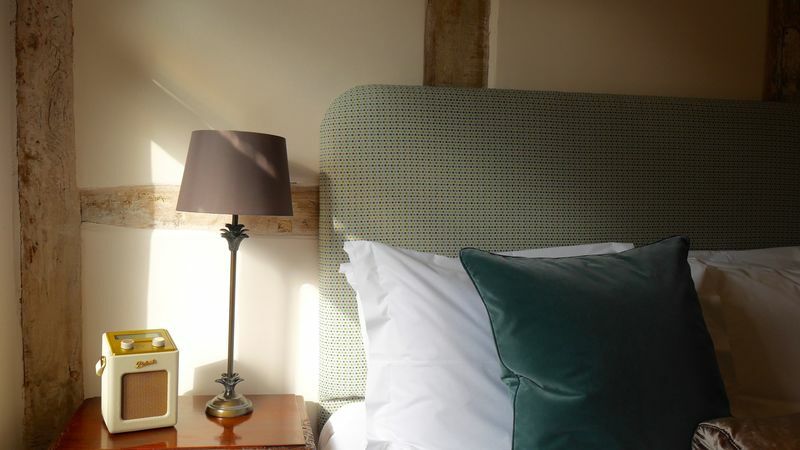 The room has a sumptuous king size bed with an upholstered check headboard, is decorated in creams and dressed in greens and reds, with an antique pine wardrobe and painted furniture. 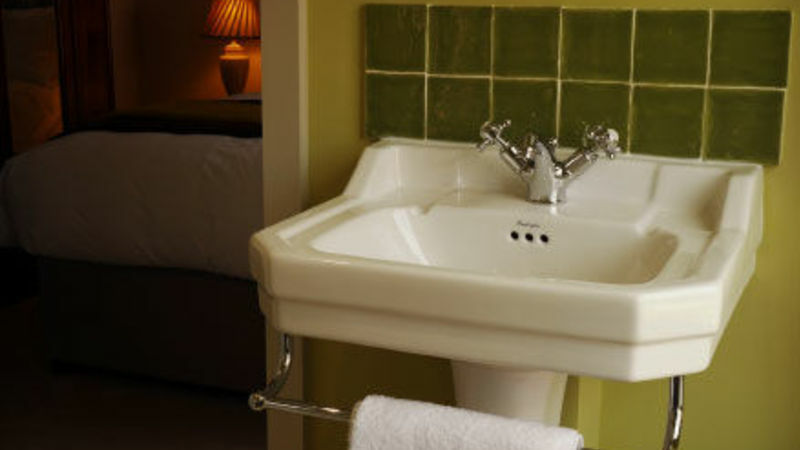 The cosy but luxurious green ensuite has a large ‘rain’ shower. 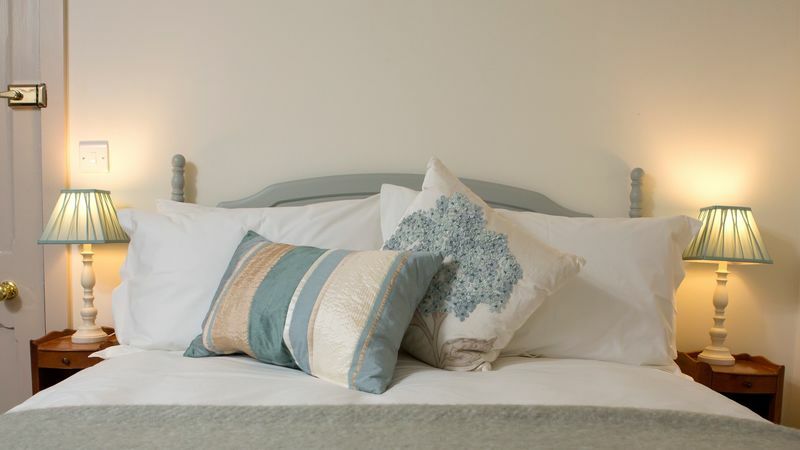 Ridgeway is on the first floor, with large sash windows facing out over the garden letting lots of light into the bedroom and bathroom. 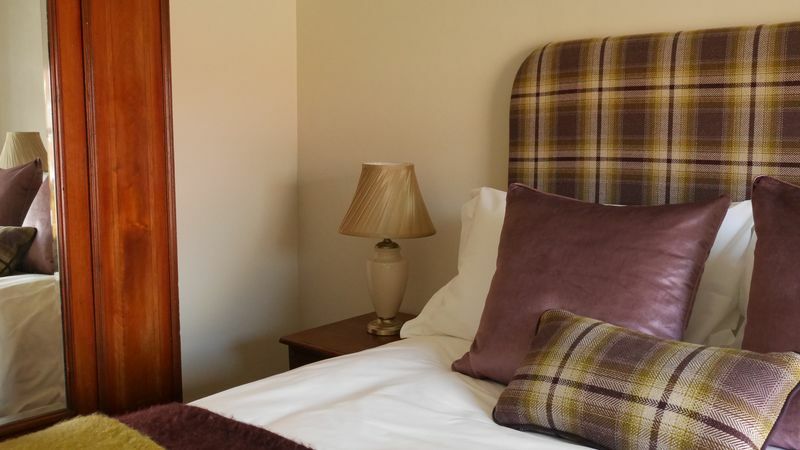 The room has a sumptuous king size bed with an upholstered check headboard, is decorated in creams and dressed in purples and leaf greens, with antique dark wood furniture. 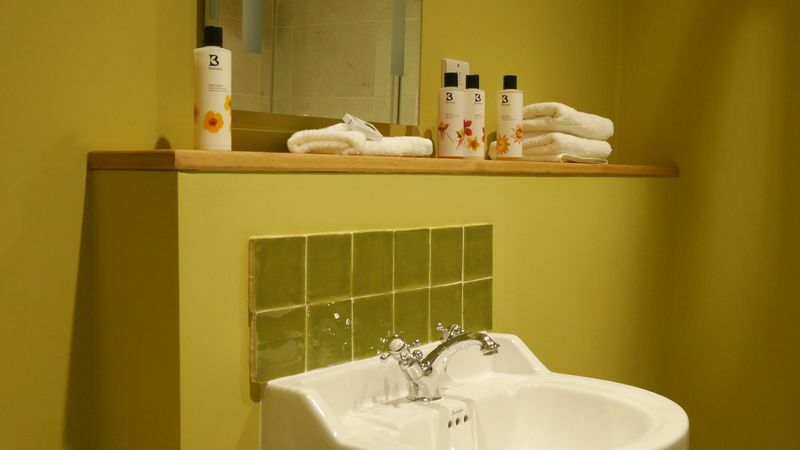 The luxury green ensuite has a large ‘rain’ shower. Well-behaved dogs are allowed in this room (for an additional charge). Superior Double or Twin with ensuite bathroom & shower. 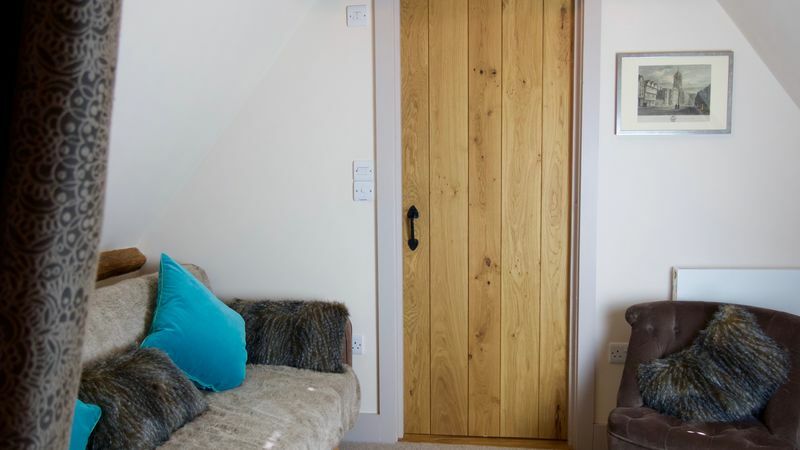 On the first floor, Childrey is a lovely but quirky room, with steps down into the room from the landing, and access to the bathroom through an old small doorway. The sumptuous super king size bed can be set up as a double or twin. 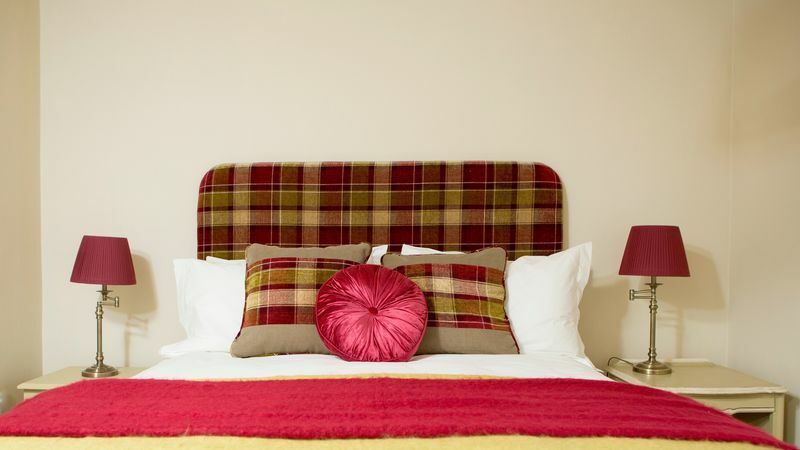 The room is decorated in creams and dressed with sage tartans, creams and crimson reds, with pine and painted furniture. 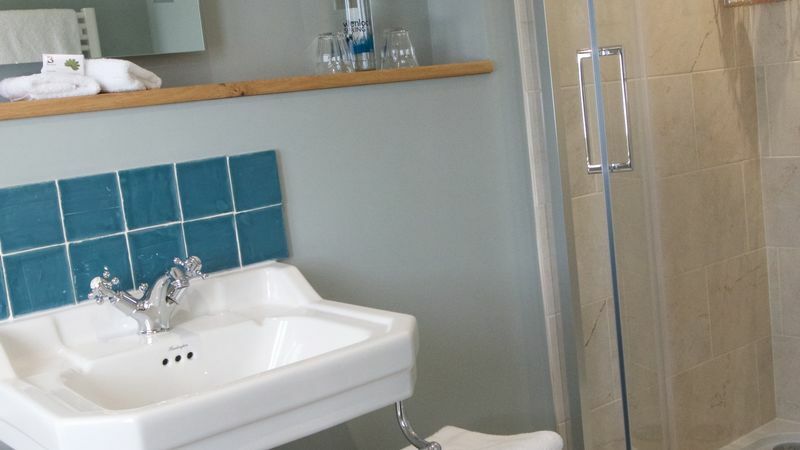 The spacious sea green luxury ensuite has a large ‘rain’ shower over a bath. Well-behaved dogs are allowed in this room (for an additional charge). Superior Double with ensuite bathroom & shower. 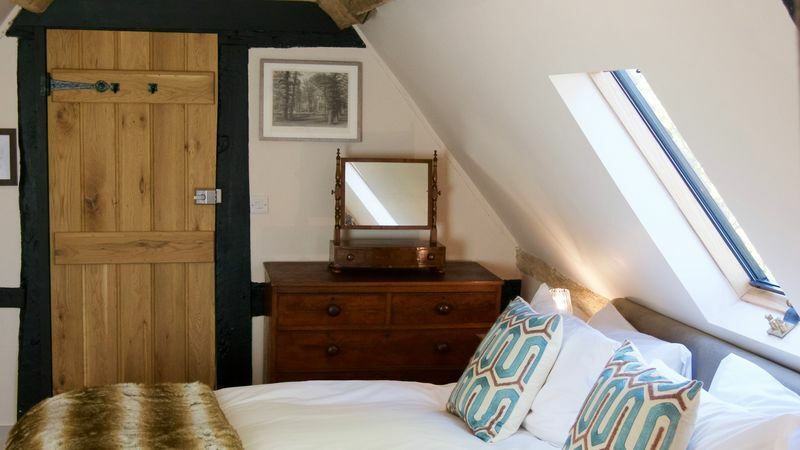 Uffington is on the first floor with windows facing to the front, and boasts lots of the original timber framing, that we discovered when the rooms were renovated. 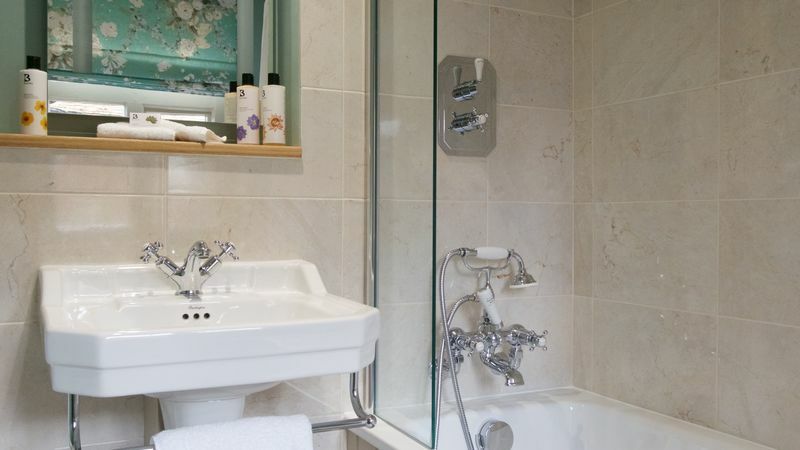 Small Double with ensuite shower room. 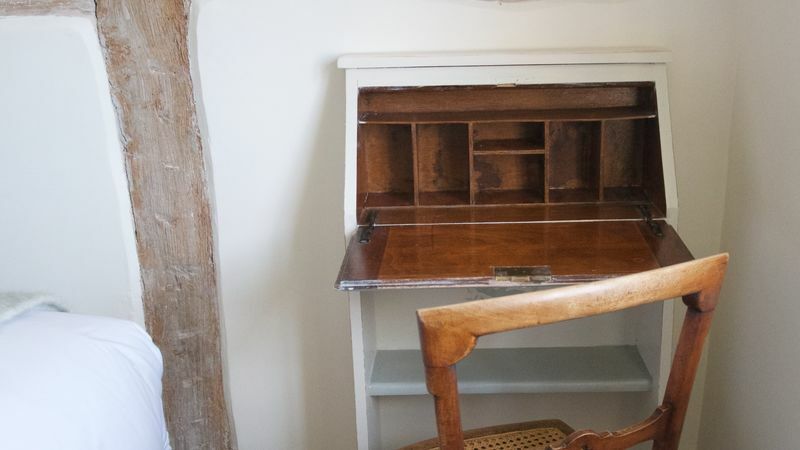 Our smallest, but perfectly formed room, Bassett is on the first floor, with windows facing to the front, and like its neighbours Uffington and Lambourn, boasts lots of the original timber framing. 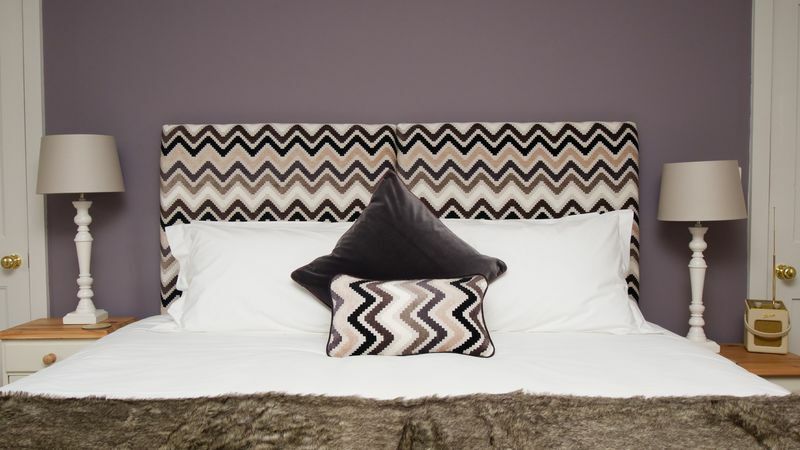 The sumptuous double bed has a painted headboard, and the room is decorated in creams and greys and dressed in powder blues, creams and fawns. 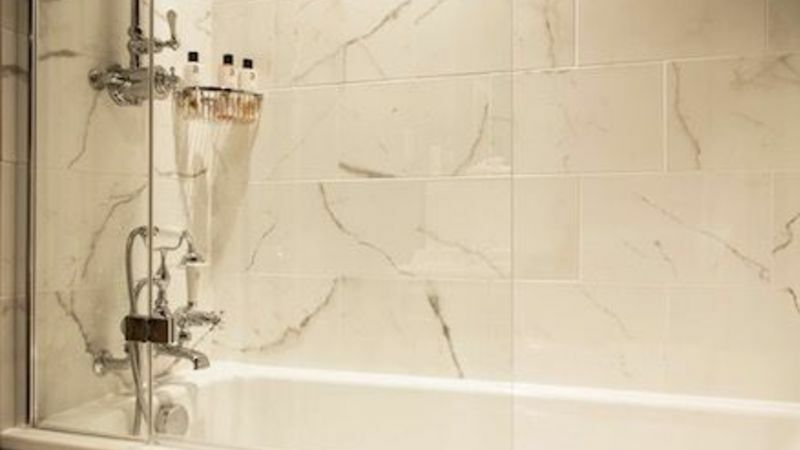 The luxury blue ensuite has a large ‘rain’ shower. 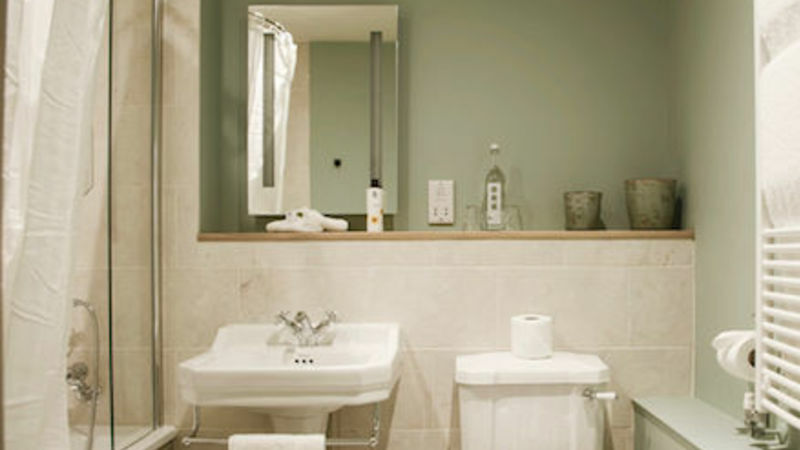 Family Suite (up to five) with lounge and ensuite bathroom & shower, Twin option. 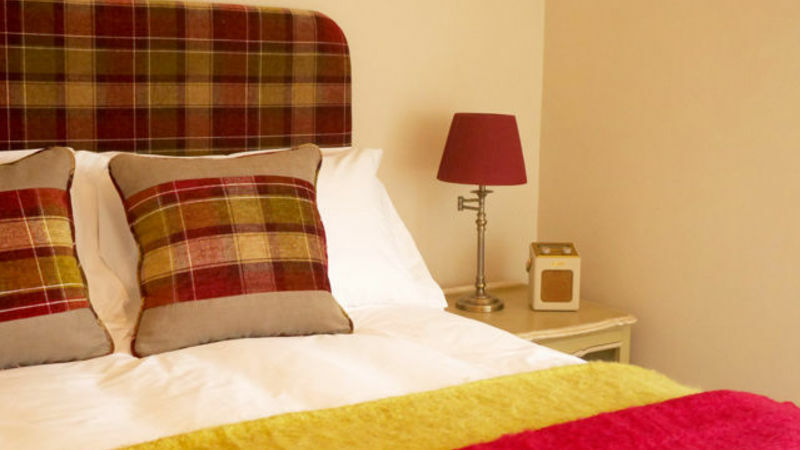 Lambourn is our largest suite, and can accommodate a family of five. 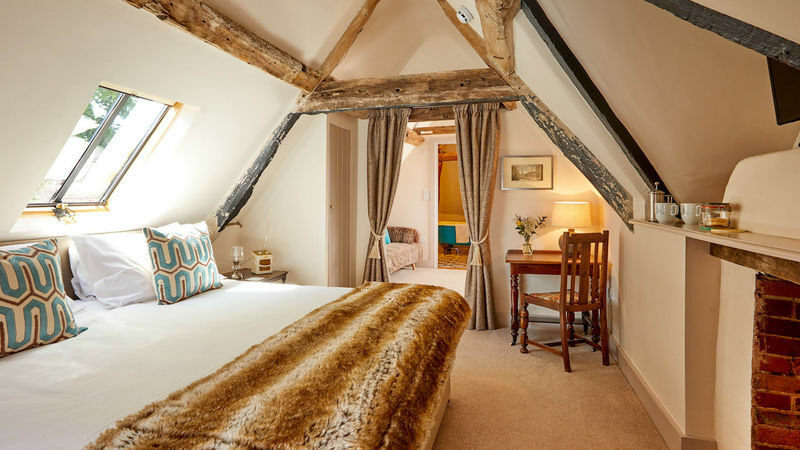 Situated on the first floor, with original timber framing and double aspect windows to the front and rear, Lambourn has a separate lounge with a large day bed that can sleep two children. 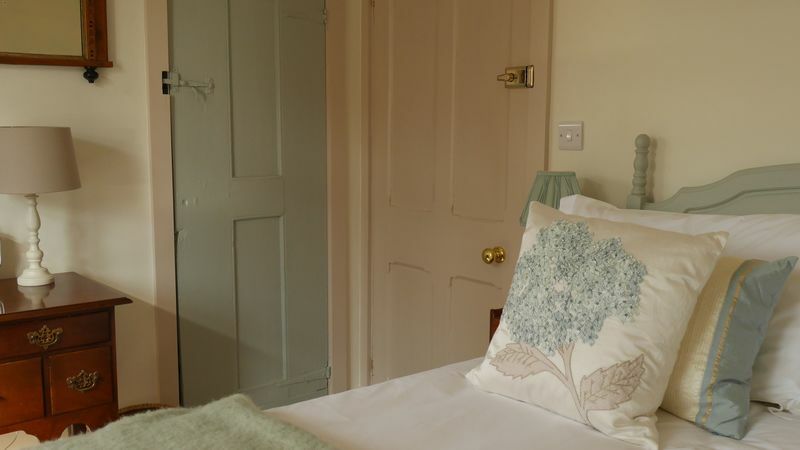 The main bedroom has a huge super king bed with an upholstered headboard (which can also be set up as a twin), and there is space for a third child on a pull-out bed or for an infant in a cot. Well-behaved dogs are allowed in this room (for an additional charge). The rooms are decorated in stone and lavender, and dressed with silvers, lavenders and faux furs, with painted furniture. The lounge has a second TV and DVD player ideal for keeping children entertained whilst mum and dad escape downstairs. 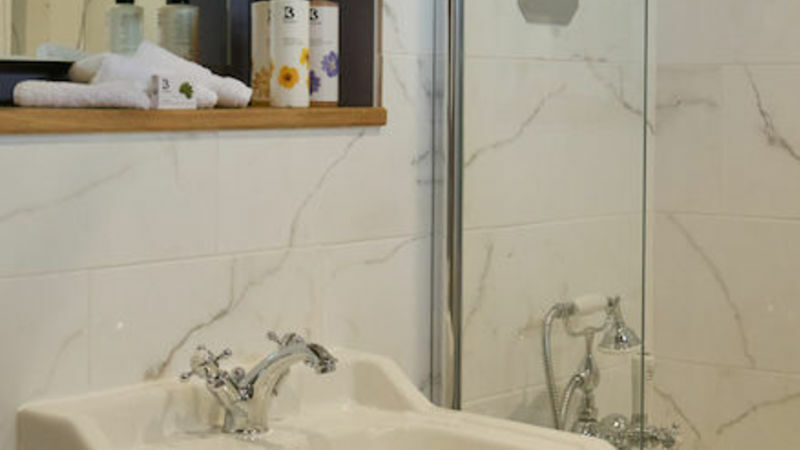 The generous lavender luxury ensuite has a large ‘rain’ shower over a bath. 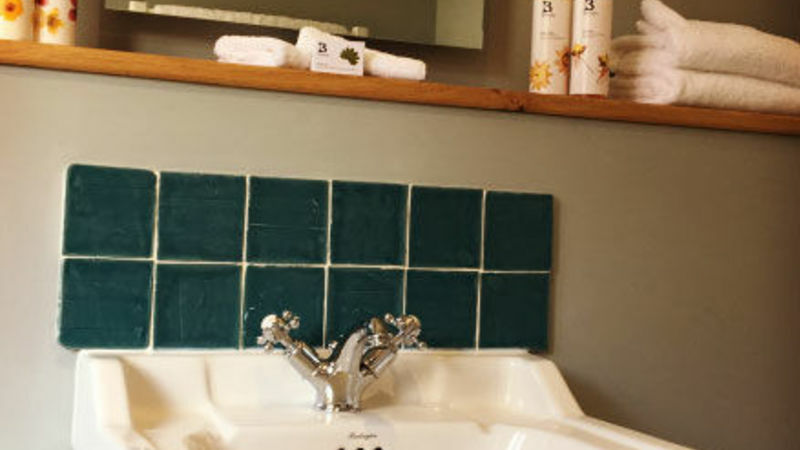 Family Suite (up to four) with lounge area and ensuite with roll-top bath. 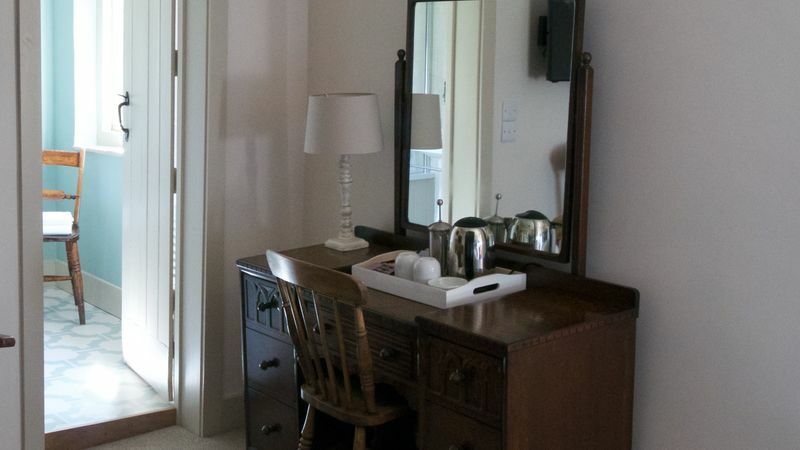 Oxford is one of our family suites, up on the second floor. 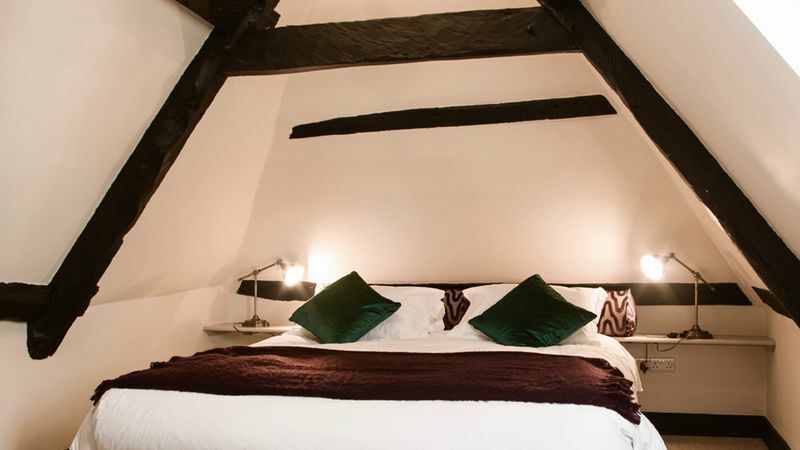 Set in the roof space, with lots of original timber framing, this room can accommodate a family of four. 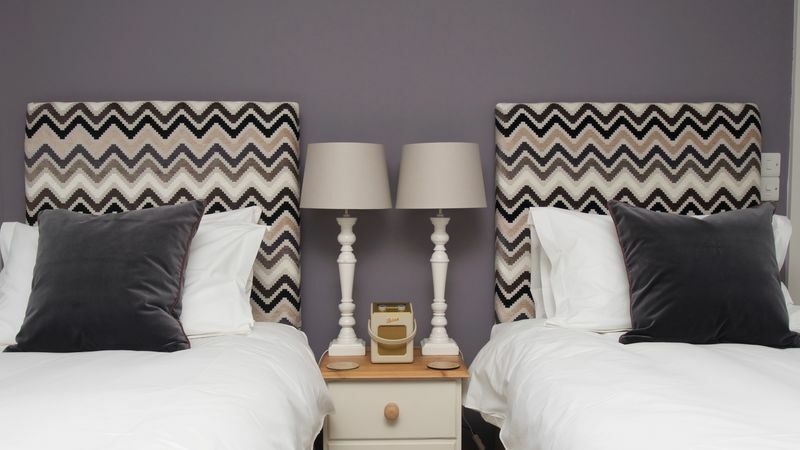 Two children can sleep in the separate lounge area, on a sofa bed and a pull-out bed. 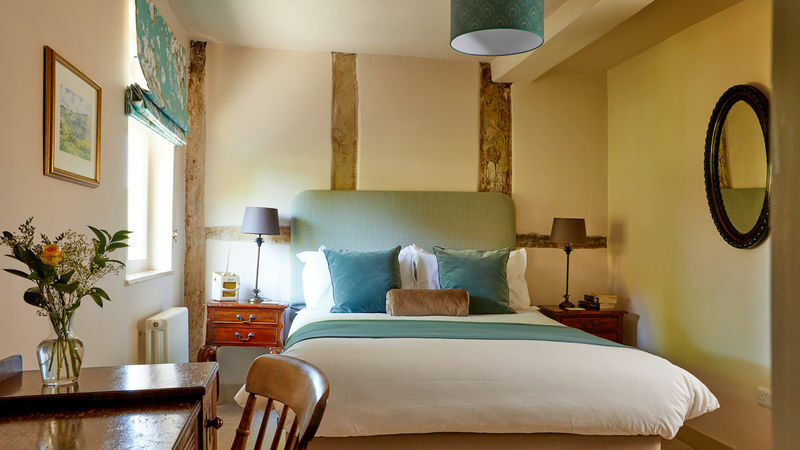 The main bedroom has a huge super king bed with upholstered headboard, and the rooms are decorated in creams and greys, and dressed with turquoise, silvers and faux furs, with dark wood and painted furniture. 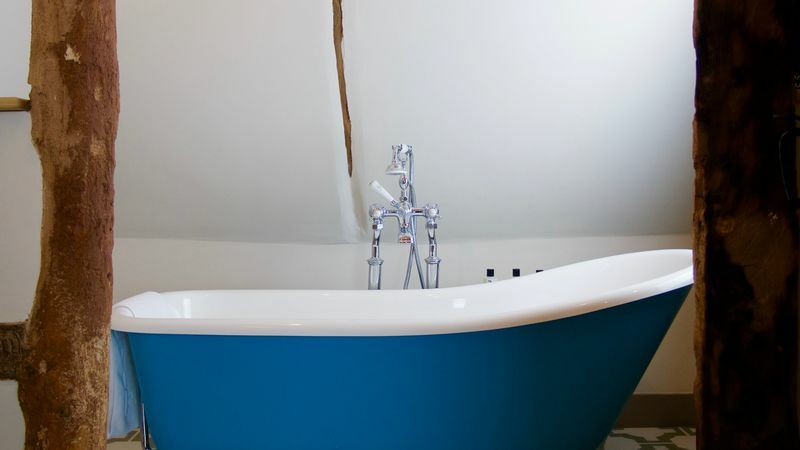 The quirky but luxury ensuite is in the eaves, amongst the old timbers, and features a turquoise roll top bath for a decadent soak. Please note there is no showering facility. Wantage is up on the second floor in the roof space, with lots of original timber framing. 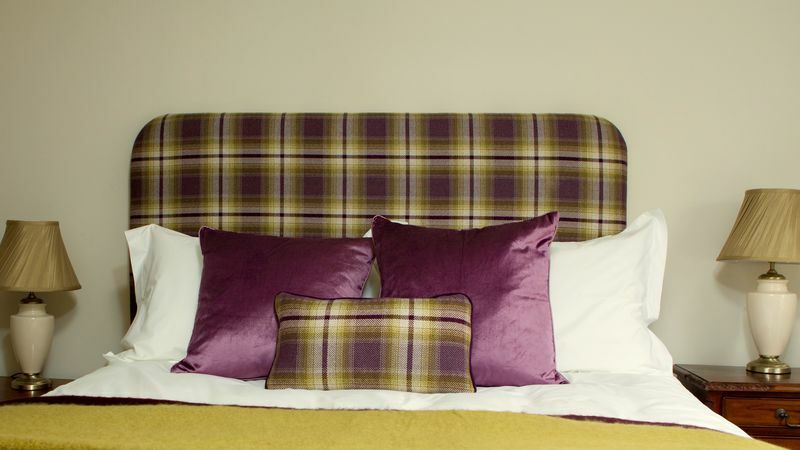 The huge super king size bed can be set up as a double or twin, and there is space for an infant in a cot. The room is decorated in cream with black timbers, and dressed with jades and plums, with painted and upholstered furniture. 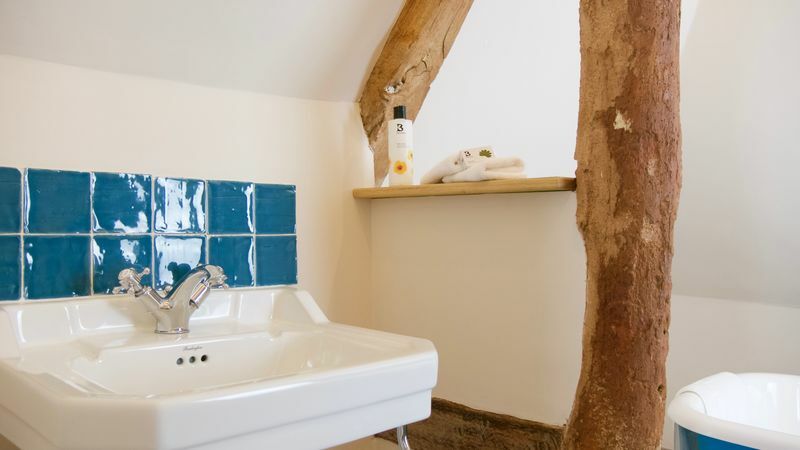 The cosy but luxury deep plum ensuite is in amongst the old timbers and has a large ‘rain’ shower over a short bath. Dinner, Bed and Breakfast Rate. Enjoy 3-courses from our a la carte menu and full breakfast the next day. Based on 2 people sharing a room. Enjoy a 3-course Sunday lunch, complimentary newspaper by the fire, then a 2-course supper and full cooked breakfast in the morning. 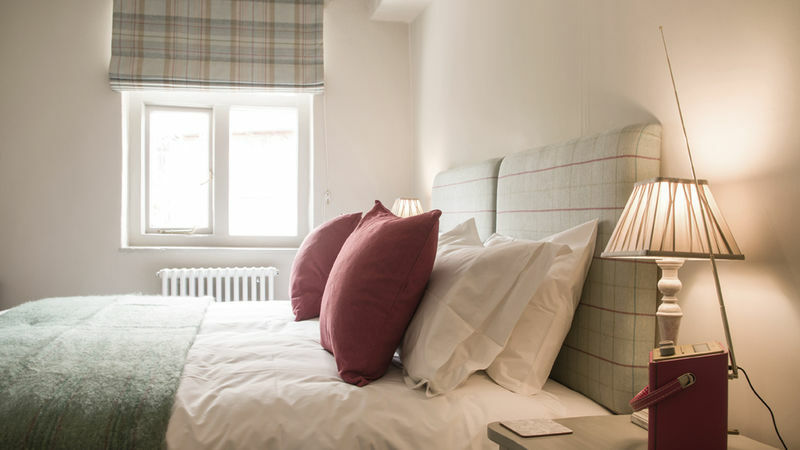 Treat yourself to a welcome drink, 3-course dinner for 2 people, bed and full breakfast any day except Saturdays and Sundays with a welcome drink. 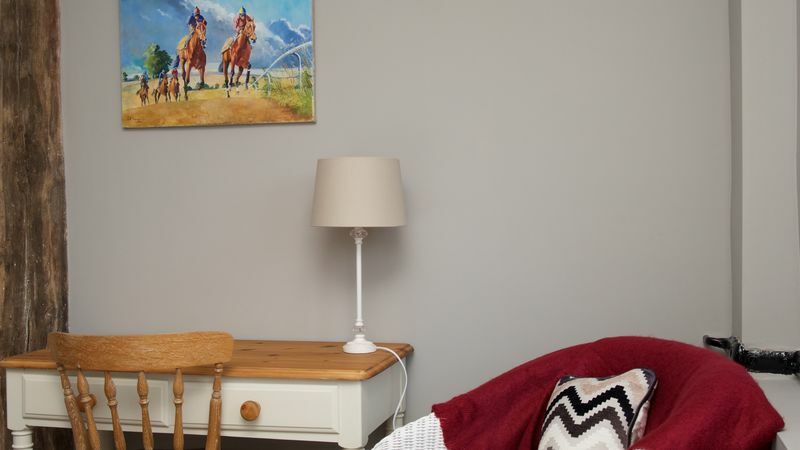 Children of 12 years and under sharing a room with an adult are charged £20.00 per night. Children of 13 years and over may stay in their own room, normal room rates apply. Extra beds available in Lambourn and Oxford only. Cot available also in Uffington or Wantage. 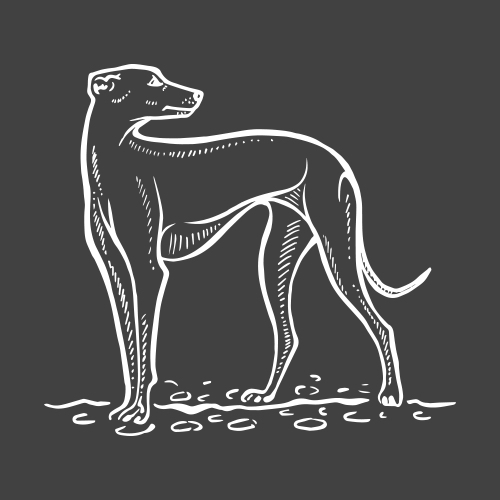 Up to two medium-sized, well-behaved dogs are welcome in Lambourn, Ridgeway and Childrey rooms and are charged £15 per dog per night. Dogs are provided with a welcome kit of snacks, water bowl, towel and poo bags. Earliest check in is 3.30pm. Latest check in is 9.00pm. We kindly ask that you check out by 10.30am. All arrivals outside of our standard times must be agreed with us in advance. CANCELLATION POLICY We will only accept cancellations made in writing. Bookings can be cancelled free of charge up to 48 hours before midday on the arrival date. 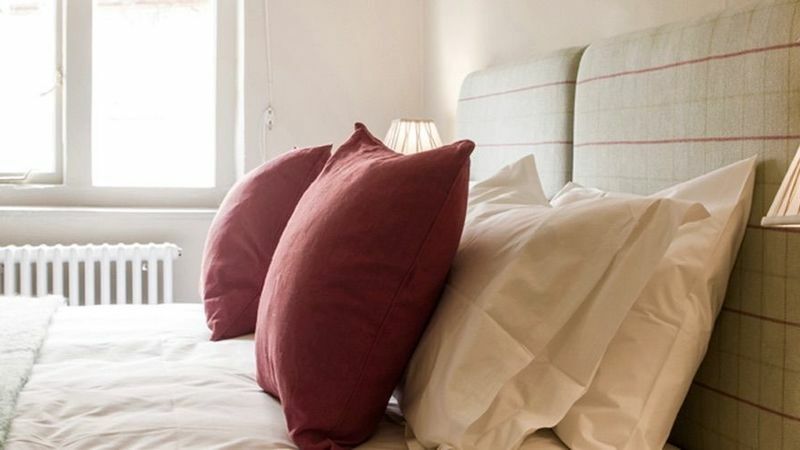 Rooms cancelled less than 48 hours prior to midday on the arrival date will incur a cancellation charge equal to the full cost of the booking. 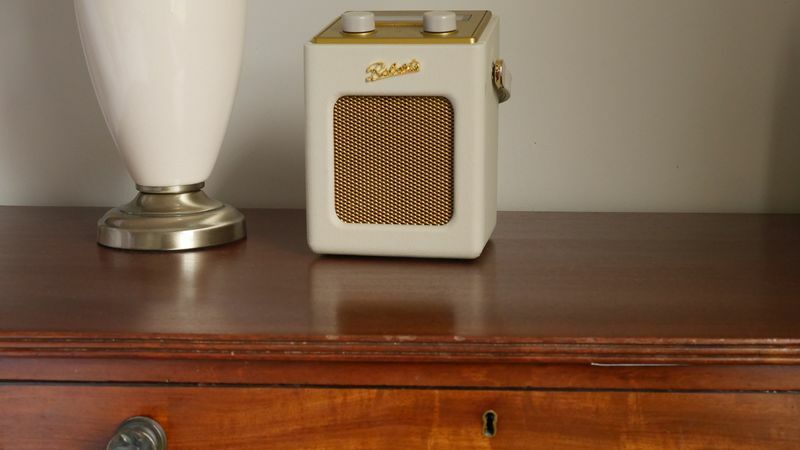 This charge will also be made for a no-show, when guests don’t arrive and haven’t cancelled. If we are able to re-let the room/s at the full tariff, then we will make a refund of this charge. GROUP BOOKINGS Our payment and cancellation policies differ for group bookings, which are defined as bookings for 3 or more rooms. Individual bookings that are connected and staying at the same time are considered a group booking. 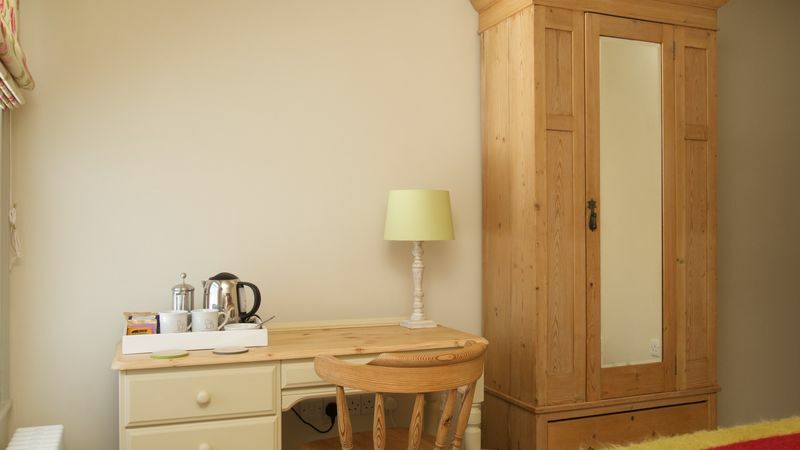 Group bookings of 3-4 rooms can be cancelled up to 14 days in advance of the arrival date. Full or partial cancellations made within 14 days of the arrival date, or any no-shows, may incur a cancellation charge equal to the full cost of the cancelled booking. Group bookings of 5 or more rooms can be cancelled up to 28 days in advance of the arrival date. Full or partial cancellations made within 28 days of the arrival date, or any no-shows, may incur a cancellation charge equal to the full cost of the cancelled booking. 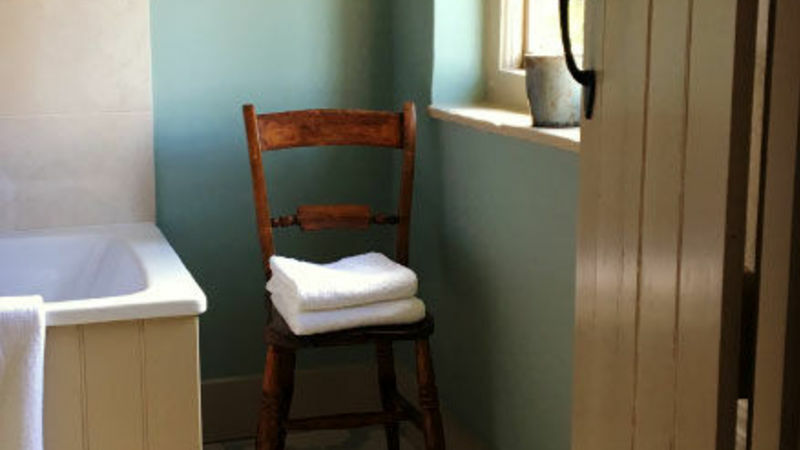 VARIATIONS TO OUR TERMS Please note that for special events, packages and at certain times of the year, our booking terms and conditions may differ. You will be notified of this at reservation stage if this is the case.